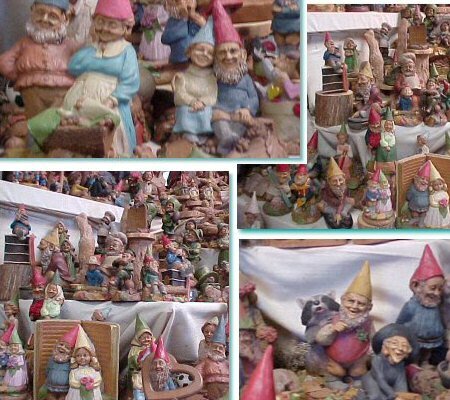 The Knot Hole Station has hundreds of Tom Clark Gnomes in stock and ready to ship! Many of these are HARD-TO-FIND retired pieces. We have these in limited quantities of one and two pieces and when each one is gone, that's it! Please check out our online store today! As an added service, we have established a special program to greatly speed up getting the registration for your Tom Clark Gnomes and Cairn collectibles! Instead of you having to fill out a card and mail it, you can now provide the necessary information at our store and we will take care of the details and send your registration within WEEKS instead of months. Visit our Online Store for our full line of Tom Clark! Be Sure To Check Out Our Sales Page!